We’re more than just an insurance brokerage – we’re risk-management advisors, too. 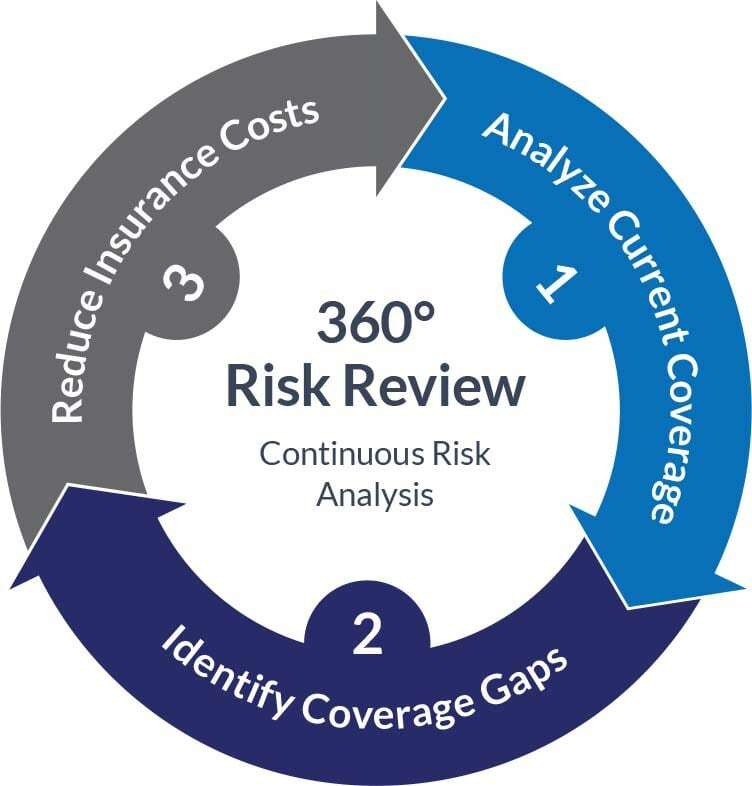 We offer a complete 360° Risk Review that looks at your business and finds ways to maximize your coverage and reduce your costs. We’ll make sure you’re properly protected by your insurance policy. Request a consultation to see how we can better protect your business. We’ll work with you so we understand each facet of your organization, and we’ll help you identify potential risks. We’ll evaluate the effectiveness of different strategies to ensure that your assets get exactly the right protection for your needs. With a thorough understanding of your organization, operating procedures, industry, and corporate culture, we’ll explore strategies to transfer and minimize risk, while reducing your overall insurance costs. As an independent broker, our long-term relationships with leading insurance companies allows us to compare the best rates and services in the industry so we can provide you with the best value for your buck. We’ll be in touch within 24 hours to book your review.